The financial strength of your OB/GYN practice is directly correlated to timely billing and account reimbursement. 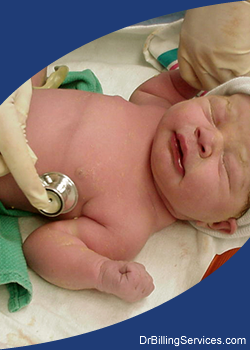 We have years of experience providing OB/GYN billing services. Hiring a quality billing service is one of the most important decisions you'll ever make regarding the business aspect of your practice. It is crucial that your OB/GYN billing company has the experience necessary to handle the complexities presented by OB/GYN billing and modifiers. Why not allow 5 Star to give you the financial peace of mind you deserve. Please visit our homepage to obtain additional information regarding our services, references and other pertinent details regarding our OB/GYN billing services. For many OB/GYN practices, billing-related processes can be complicated and take away time from patient care. However, efficient coding and billing processes are necessary for the success of any OB/GYN facility. In order to ensure your practice's needs are met and that your account receivables are on track, 5 Star Billing Services provides an end-to-end billing service with the most qualified coders and billers for the gynecology specialty. Due to the fact that women are increasingly turning to their OB/GYN provider for primary care services, medical billers need to have extensive knowledge of billing codes besides those that are OB/GYN-related. They should also know how to accurately bill CPT and ICD codes in order to maximize physician reimbursement. At 5 Star Billing Services, our staff has extensive knowledge of OB/GYN codes and procedures and can effectively collect from patients. We understand the complex nature of OB/GYN billing – from determining global pregnancy packages for private payers to billing for Medicare and Medicaid patients – and we have the expertise to ensure that billing tasks are carried out correctly the first time around. This can lead to fewer claim denials, an increase in patient collections, and higher patient satisfaction overall. 5 Star offers comprehensive OB/GYN billing services and collections. A OB/GYN billing company should increase your reimbursements. In fact, an OB/GYN billing service should be more efficient and effective at billing than your own office. According to industry experts a claims adjustment rate of between 20% and 35% is considered good and acceptable. At 5 Star our account executives have an average of eight years in OB-GYN billing. Their knowledge, ability, and dedicated follow-up is why at 5 Star our adjustment rate is consistently lower, as low as 12% with Medicare. At 5 Star we achieve A/R rates for our practices that are higher than the industry average. Simply put, you and your practice will get a higher average return per processed claim.